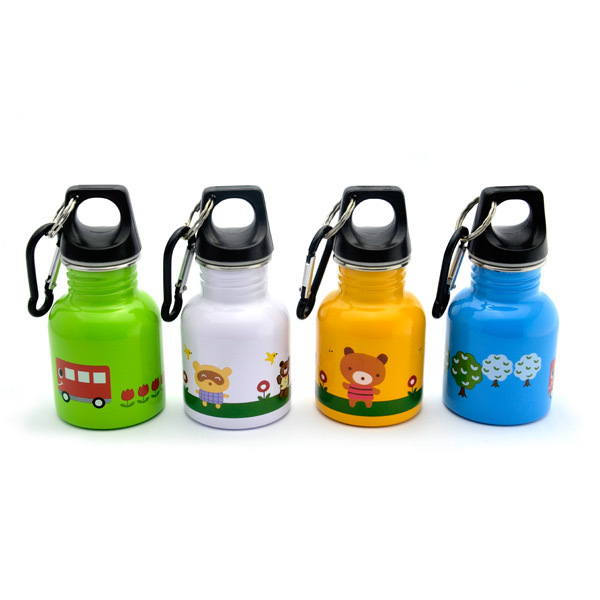 This Cartoon Series Kids Stainless Steel Drinking Bottle has a kids in mind design. And, it is also tough, resilient, and designed to last. 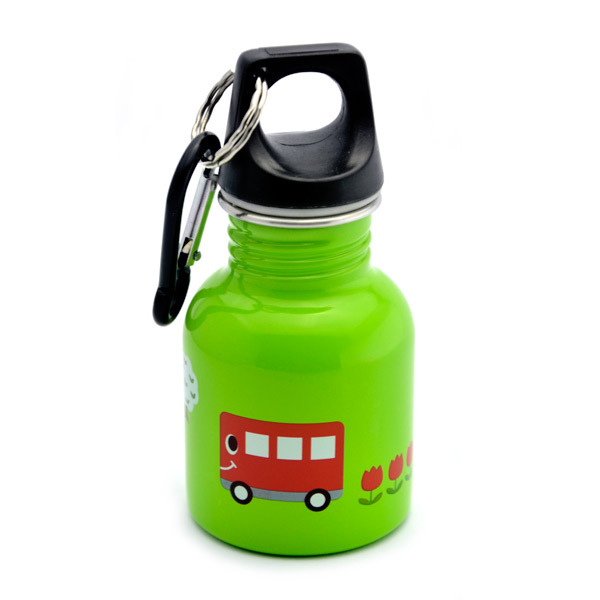 With a capacity of 130 ml and a small size bottle, it is perfect for your kids to use and hold it. This light weight drinking bottles is fashionable as they are functional. It has cute cartoon drawing on the outer part. Your kids will definitely love it. Made with stainless steel. The entire product, including all components, is completely FREE of known toxins including BPA, phthalates, polycarbonates, and PVC. Stainless steel bottle is 100% recyclable. Using a reusable stainless steel bottle helps replace wasteful, use-and-toss single-serving plastic beverage containers, while saving you money in the process. 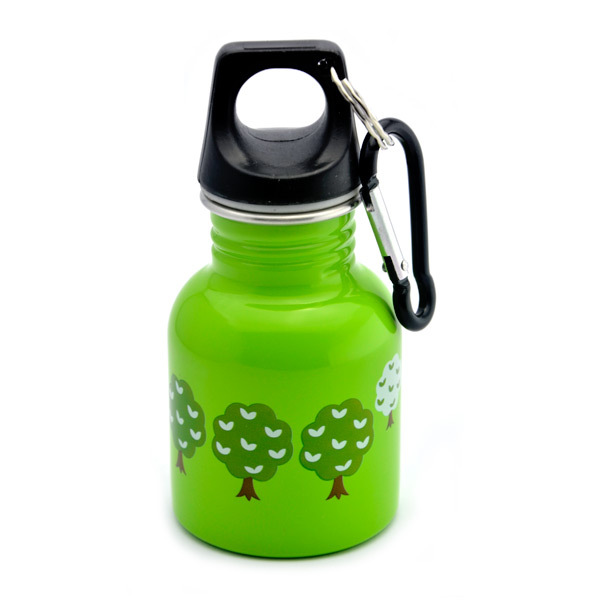 Reusing durable stainless steel water bottles ultimately helps you consume less over time. Furthermore, stainless steel is a sustainable material, having a long service life, usability in a number of applications and is environmentally friendly. Stainless steel needs less maintenance and its hygienic qualities means that we do not have to use harsh cleaners to get a clean surface. This stainless steel water bottle are not recommended for dishwasher. Because, dishwashers have a hard time reaching the furthermost portion of the bottle. We recommend use bottle brush and mild soap for internal part of bottle. The outer part should be wash by using non scratch kitchen sponge. This stainless steel water bottle are durable, but like any stainless steel bottle they can scratch and dent (especially the outer part). Protect and insulate yours with a bottle sleeve. DO NOT freeze stainless steel bottle. The force of liquids expanding as they freeze can cause this stainless steel to become deformed and can also break the weld that holds the bottle together. Fill in hot water into the stainless steel bottle could cause the bottle become very hot. Protect your little one. Please keep it away from them.